The room are on the first floor of a modern building at the second roundabout in Ballycoolin Estate. Driving: From the M50, take Exit 6 onto the Navan Road/N3 towards Blanchardstown. Take the 3rd exit from the N3. Turn right at the top of the slip road and cross the N3 Bridge to enter Balllycoolin Estate using the R121. Follow the R121, at the first roundabout take the 2nd exit (straight through). At the second roundabout, take the first exit (left turn) into Blanchardstown Corporate Park. Take an immediate right and the Regus Building is on your right. By Bus: Buses 40d, 236 and 238 stop in the Blanchardstown Corporate Park, within walking distance of the Regus Building in which Core Clinical is located. The car park at Regus can fill quickly each morning and when you arrive you may find that the remaining spaces are reserved for local business employees. If this happens, you can use an overflow car park located 100m beyond Regus, on the right hand side. 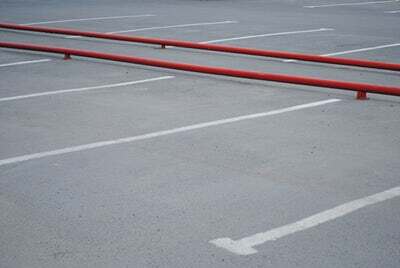 For the convenience of all, please avoid parking in resetved spaces. Enter the building through the main entrance and proceed directly ahead, through the double doors. Follow the corridor around to the left and the reception desk is immediately on your left. Introduce yourself to the receptionist and tell her you have an appointment with Core Clinical. She will phone us to tell us you have arrived. Please wait in the waiting area and we will come down to meet you. Please email us at info@coreclinical.ie if you are running late and let us know when you expect to arrive. If we see that you have not arrived we will check this email account to see if you have contacted us. We will still see you when you arrive, if you are late. However, late arrival will reduce your appointment time.